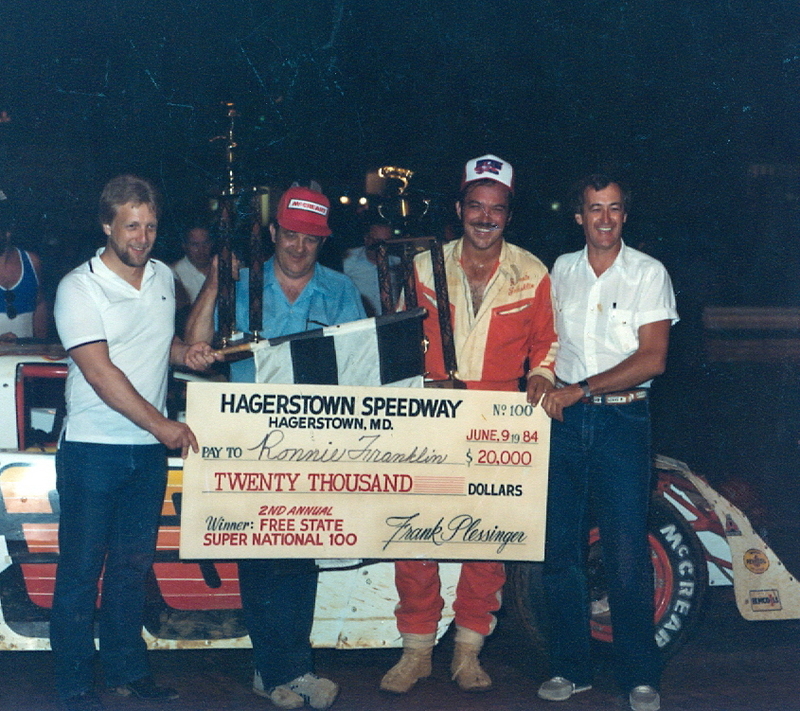 The National Dirt Late Model Hall of Fame Class of 2015 will be inducted Saturday afternoon August 8th at 4:15 PM EST on the main straightaway of the Florence Speedway in Union, KY. The induction ceremony is held annually prior to the running of the Lucas Oil sanctioned North-South 100 at the Northern Kentucky oval. This year’s class of drivers includes: Tennessee’s Skip Arp, Iowa’s Red Droste and Curt Hansen, Pennsylvania’s Davey Johnson and Georgia’s Leon Sells. Contributors to be inducted are photographer Jim Butler, Iowa race promoter Al Frieden and past writer and editor Wayne Kindness. A pair of Lifetime Achievement Awards will be presented to veteran Kentucky racer Butch Shay and long time Hoosier Tire specialist Craig Cowan. This year’s Sportsman Award will be given to Lucas Oil regular Eddie Carrier Jr.
An auction to benefit the Hall will be held at 1:00 PM on Saturday in front of the Hall of Fame facility, located outside of turn four at the Speedway. A number of the sport’s top stars have generously donated door panels and other collectible items to be auctioned off. All proceeds will go to the Hall’s future building fund. The Hall of Fame will be opened daily at 11:00 AM for visiting and tours. Admittance to the Hall is free of charge. 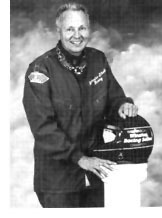 Don Bohlander, a 7-time Illinois State Dirt Late Model Champion and a 2011 Inductee into the National Dirt Late Model Hall of Fame passed away July 26th at age 80 following a longtime battle with Parkinson’s Disease. Bohlander, one of the all-time top dirt racers from the Land of Lincoln competed for 45 years on the ovals and will be remembered as a fine gentleman but yet a tough competitor. Our condolences go out to Don’s wife and family. He will be missed. 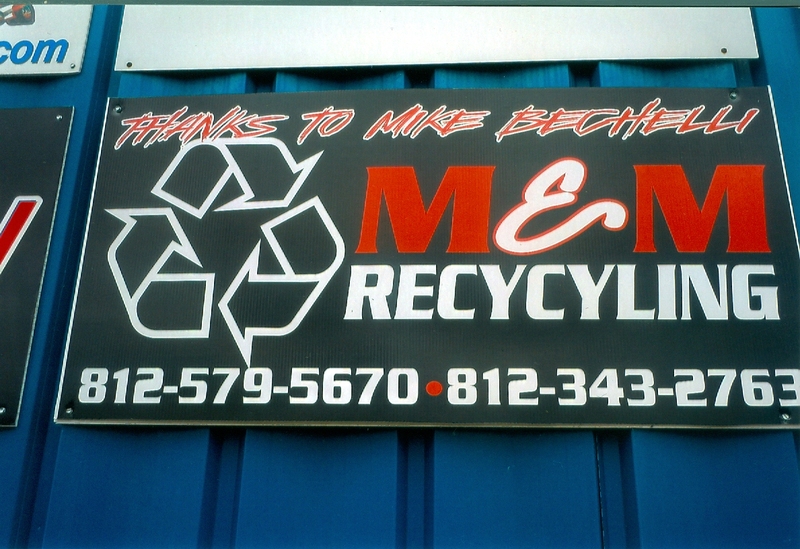 Mike Bechelli of M&M Recycling in Elizabethtown Indiana, a long-time supporter of the National Dirt Late Model Hall of Fame continues the restoration of the original 1982 World Dirt Track Championship winning Charlie Swartz “Cheesewedge” car. Bechelli in the past had a huge hand in the restoration of the 1986 Jeff Purvis Rayburn, Russ Petro Rayburn wedge and the 1995 Jack Boggs Mastersbilt that are prominently displayed at the Hall. Thus far Mike has provided a number of important parts and is in the process of assembling it for future display at the Hall. For Mike’s dedication to our sport the Hall proudly displays his sign on the front of the Hall’s building. The Hall also wishes to thank Eldora E-Mod Racer and race mechanic Warren Shingleton for his added assistance in this remarkable project. 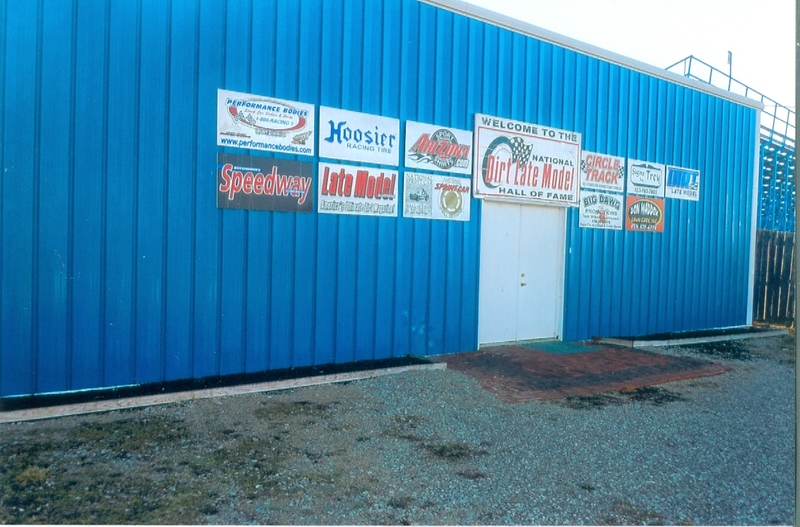 Warren was initially involved in the assembling of the 2002 raffle Dirt Late Model which raised the funds to build our original building. Our thanks go out to these two fine gentlemen for their continued support. Thanks to Our Media Friends.. 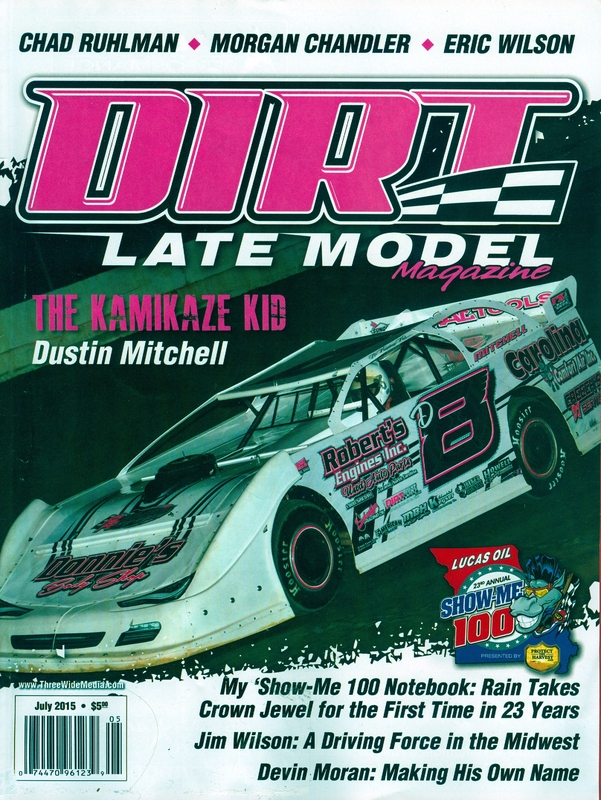 The Hall of Fame wishes to give a shout out to the folks over at Dirt Late Model Magazine, the sole publication devoted to the coverage of our great sport. Publisher and editor Mike O’Connor continues to do a first rate job presenting Dirt Late Model racing both past and present and is a fine supporter of the Hall of Fame. 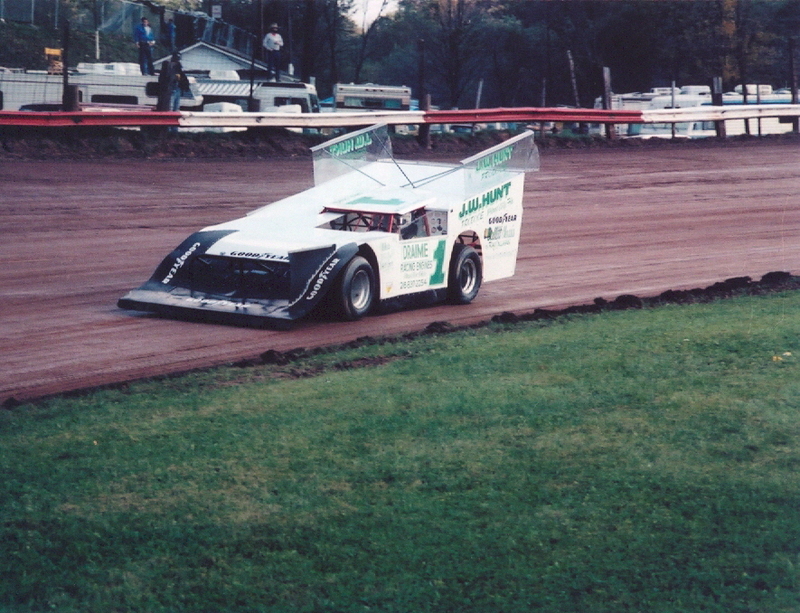 Also, Bill Holder’s “National Dirt Late Model Hall of Fame Corner” and Lee Ackerman’s “Blast From the Past” are a “don’t miss.” A subscription can be obtained by phoning 888-806-4611 or via their website at http://www.threewidemedia.com. Back in April, 2004 Hall of Fame Inductee Rodney Franklin passed away at age 61 following a battle with cancer. 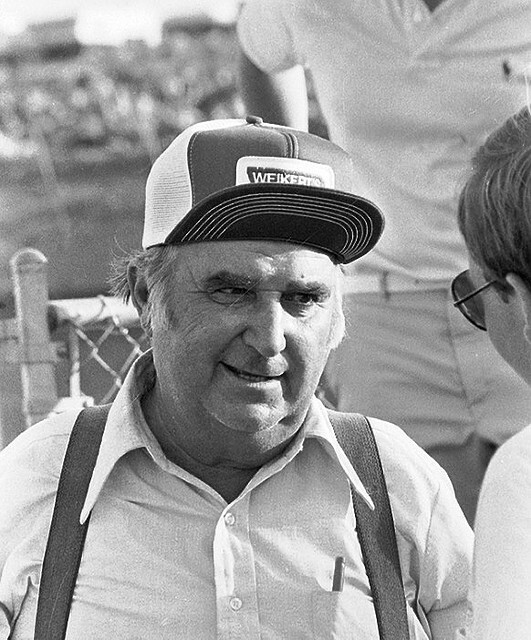 Rodney, a White Post Virginia resident was known on the ovals as the “Virginia Leadfoot” and was one of the East Coast’s all-time top runners with over 300 feature victories. Our condolences go out to his surviving wife and children, he will be missed. We here at the National Dirt Late Model Hall of Fame value our fans and supporters’ input, and what better way to show that then to ask “who do you think should be in the Hall of Fame?” The “Public Nomination” page is now live on our website and can be accessed from the sidebar. On this page, viewers will find a form for public nomination, with all criteria that nominees must meet. Thank you so much for your continued support and input. 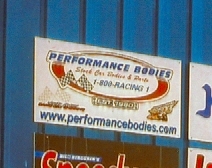 The good people at Performance Bodies of Cedar Falls Iowa continue to be a fine supporter of the National Dirt Late Model Hall of Fame. Also joining us this year are the fine people at G-FORCE Racing Helmets. We are proud of our sponsors and hope that you all continue to support these great businesses. 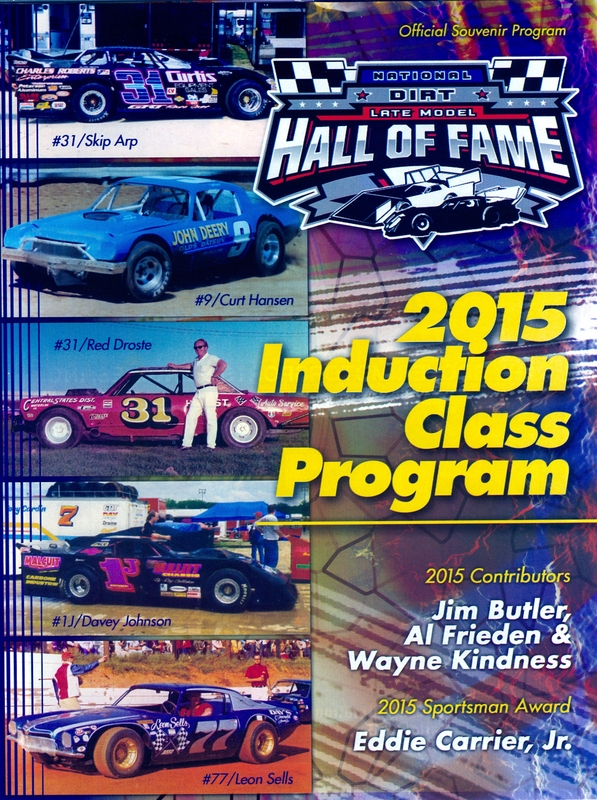 Performance Bodies have graciously reproduced a door panel for 2015 inductee Curt Hansen to be displayed at the Hall. Be sure and stop in this August to see it. The Don Bohlander Parkinson’s FundRacers is a not for profit organization that raises awareness, education and dollars for the fight against Parkinson’s disease. They represent not only Don but the hundreds of others in Central Illinois that suffer from this terrible disease. On March 7th 2015, 4pm at the Pekin, Il Moose Lodge they are having our 7th annual Pulled Pork for Parkinson’s event. It’s a pulled pork dinner, live auction with raffles, bake sale, good food and a great time. All proceeds of the dinner and other special events in 2014/2015 are donated to Dr. Craig Cady and Bradley University’s Parkinson’s Research Team. They are just shy of $100,000 donated over the past 6 years and would love to have your support. Our 501 (c) 3 number is 45-2639952. Become a corporate sponsor for their events. $1000+ Largest logo on shirt, they will hang your banner, numerous mentions during the event, receive a reserved table of 8 including dinner. 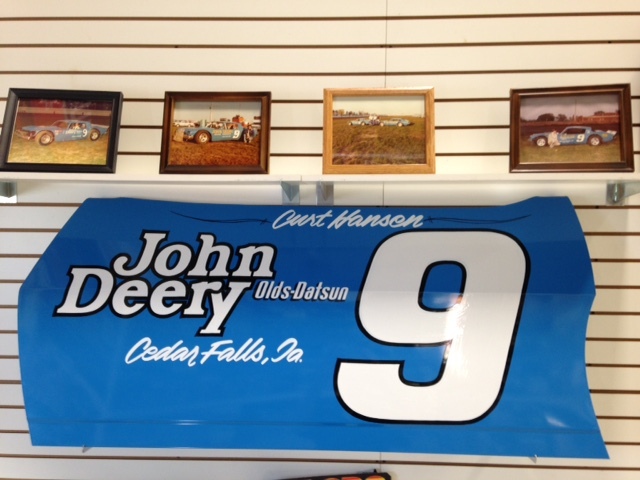 This sponsorship will also double for the Don Bohlander Tribute race at the Peoria Speedway in April of 2015. Shirt sponsor- $500 (large logo), $250 (medium logo) or $100 (name on shirt). This doubles as a sponsor for the dinner event at the Moose and at the Don Bohlander Tribute race in April at Peoria Speedway. Donation of a gift basket/merchandise/gift card to be sold at the dinner as an auction item or raffle item. Hang their flyer and help spread the word and “like” us on Facebook under Don Bohlander Parkinson’s FundRACERS. Check out our websitewww.heartstohands.org for more information or Cord Blood Donations. See what you helped create with your donation or see what you are missing out on! 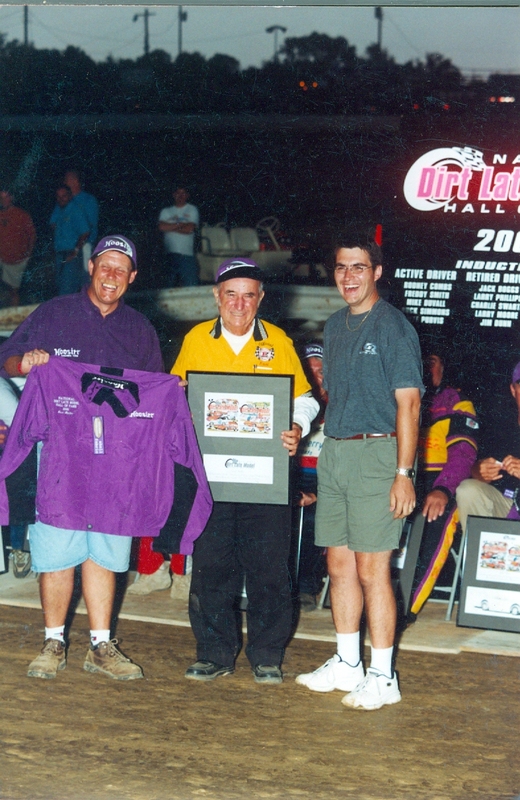 Last September the National Dirt Late Model Hall of Fame made its annual good will trip to the Knoxville Sprint Car Hall of Fame museum and helped put on the Late Model 101 seminar. In our latest installment, we brought some of Iowa’s greatest dirt late model icons together for an afternoon of stories and history. As with our past two years, this new seminar is now available on DVD for $12 with $2 for shipping and handling. The whole production clocks in at an hour and a half and features Iowa greats Verlin Eaker, Curt Hansen, Fred Horn, Tom Hearst, Joe Merryfield, Ed Sanger and Ken Walton. All proceeds from this DVD will go towards the National Dirt Late Model Hall of Fame building fund.